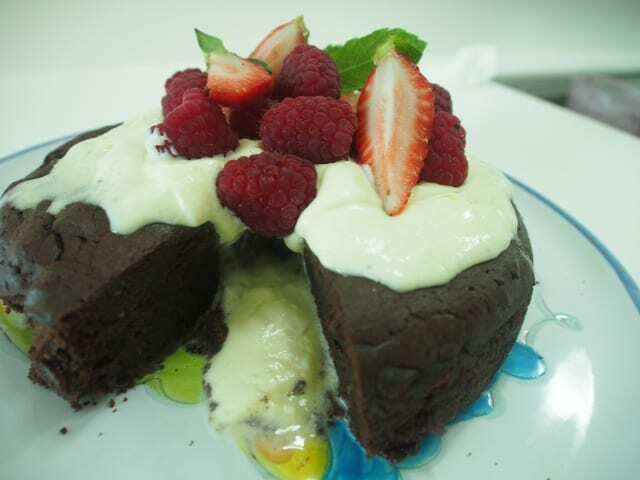 A rich dark chocolate cake for lovers of dark chocolate. This cake was named after a comment made when I served it at a dinner party (or low-carbecue) I had for some new ‘not so low carb’ friends! Don't be put off, it was a popular dessert for all those who have a love of dark chocolate. Note that this cake is quite high in carbs due to the chocolate. I use this as a dessert occasionally as a treat and would not recommend that you try this recipe in your first few weeks of the low carb lifestyle. Melt chocolate, butter, stevia, and vanilla on a low heat, stirring continually. Stir in almond meal and baking powder, add egg yolks one at a time, followed by cream or yoghurt. Beat egg whites until stiff peaks are formed and slowly stir into chocolate mixture. Bake at 180 degrees Celsius (or 160 fan bake) in a lined 25cm tin for 45 minutes or until firm to touch and cooked through. Be careful not to over cook, chocolate cakes are always best on the moist side. Wondering how many drops of stevia to substitute for 2T powdered stevia please.